Here at Mulligan, we make party planning fun and easy. 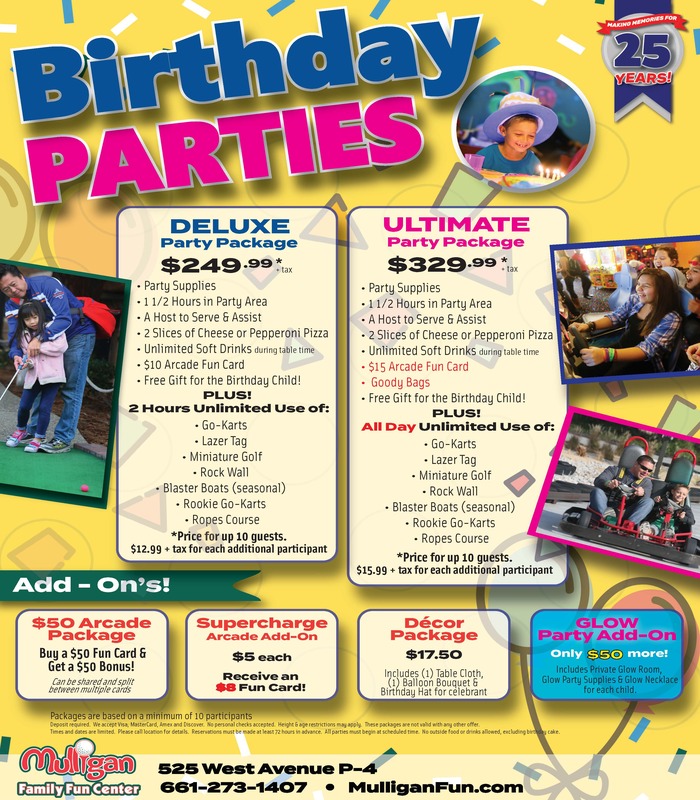 Check out the Birthday Party options below then visit our Online Party Center to book your time and date. It’s Fast, Easy and Secure. Reservations required for all birthday packages. *Price for up to 10 guests. $12.99 plus tax for each additional participant. 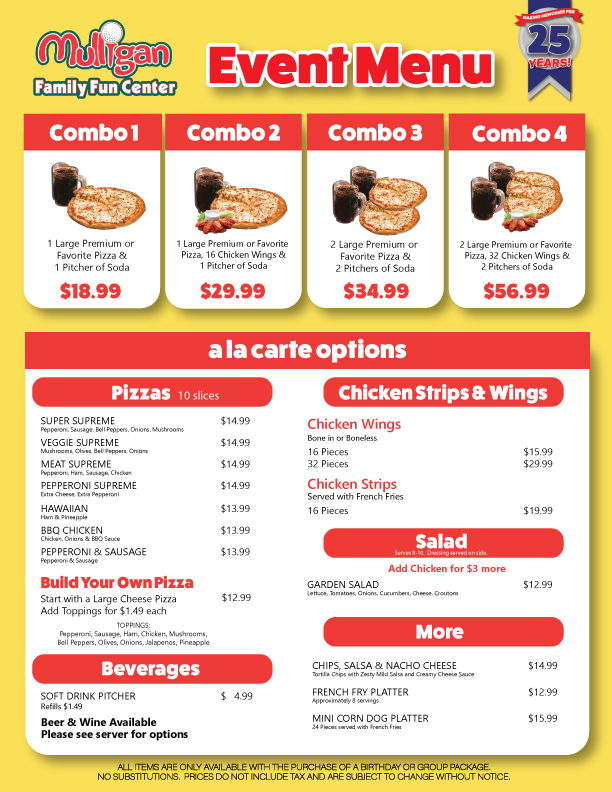 $5 Per Person = $8 Fun Card! Deposit Required. We accept Visa, MasterCard, Amex and Discover. No personal checks accepted. Height and age restrictions may apply. These packages are not valid with any other offer. Times and dates are limited. Please call location for details. Reservations must be made at least 72 hours in advance. All parties must begin at the scheduled time. No outside food or drinks allowed, excluding birthday cakes.